These revolutionary Globber helmets for scooters are designed with safety in mind, thanks to the high-visibility reflective print design to be seen in low-light situations , and highly-resistant ABS shell with padded foam for maximum protection and comfort. 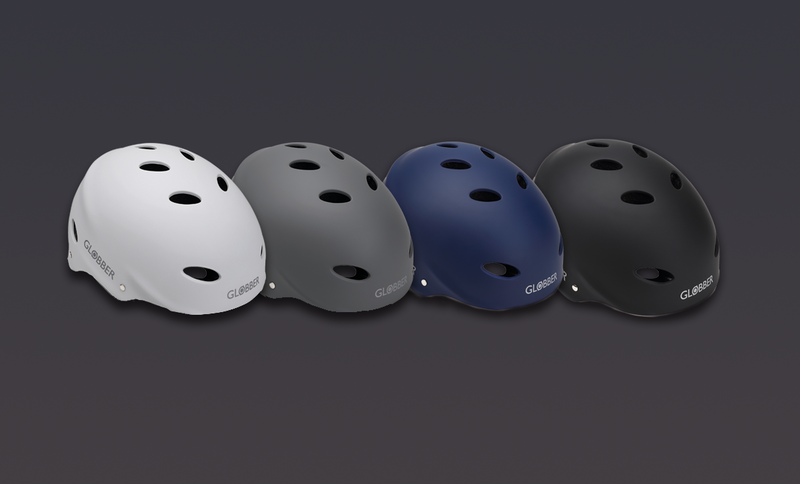 The helmets are available in a selection of colours and sizes to offer scooter helmets for men and women. Pick amongst white, titanium, slate blue, and black in either, size S (54-56cm), M (57-59cm) or L (59-61cm).